In 1979 First Bank of Muleshoe installed the latest innovation in banking, a drive-through station with vacuum tubes to transport deposits from the customer’s vehicle into the bank teller’s hands. We are all pretty familiar with these conveniences now, but they were something new and sort of mystical back then. 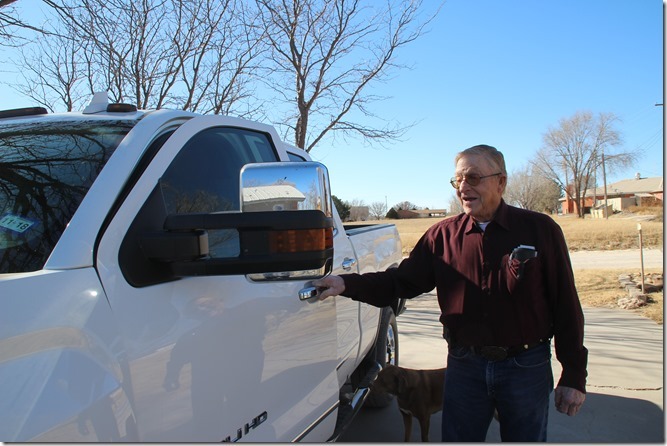 So when Jerry Gleason, DVM, who normally went inside to do his banking, drove up for the first time to use this fancy invention, he did what made sense to him. Coins went in the little capsule, paper money and checks he pitched lose into the vacuum tube, he closed the little door, pushed the send button, and waited to see how handy this modern marvel would or would not be for him. Not too handy, as it turned out. The heavy capsule full of coins remained in limbo in the vacuum tube while the paper money and checks popped right out and showered the teller booth and the surprised tellers with a rain of paper not unlike a ticker-tape parade. The tellers frantically scooped up everything that blew their way, and the company that installed the system was called in to retrieve the capsule full of coins. Eventually things went back to normal, except that Doc Gleason took a lot of grief over the incident and did all his banking inside the building after that. Now admit it; if you had never used one before, you might have done the same thing. Another story that has endured the test of time involves an unplanned quick trip to town as the vet clinic is about three miles west of the city limits. Doc jumped in his pickup and took off, noting that the faithful old truck just didn’t have the get-up and go it normally did. He was vaguely aware of a new rattle and bump that had not been there before either. But he finished his errand and made it back to the clinic in pretty fair time, only to be greeted by everyone at the clinic who were all curious to see how much of that dead cow would be left on the chain tied to the pickup bumper. Nobody, including Doc, realized he would be using the pickup before they could unhook the chain and cow carcass they were going to drag out of the way with that pickup. These stories became legend in Muleshoe and were two of the first stories that introduced us to this veterinarian who bleeds maroon and always took good care of my animals whenever there was need. Even on Super Bowl Sunday one year when he met me at the clinic to work on one of the cats, I have forgotten which one now. He was willing to miss the game to see about the animal. This dedication from as faithful a football fan as you will ever meet. Other stories abound about his passion for the game, like the time in high school when he bolted from the Lazbuddie team bench to tackle Richard Skinner on opponent Bula’s team who was in the process of running the punt back for a touchdown. Skinner had gotten past the other Lazbuddie players and was headed for the end zone and as he passed Doc, sitting there in a frantic lather on the bench, Doc simply had no other choice but to rise to the occasion and tackle the boy, making the save, and getting back to the bench as if nothing was out of order. He had also been known to offer his Lazbuddie coach advice on toughening up the team, sharing his thoughts on longer, harder practice sessions so they wouldn’t keep coming in second, much to the dismay of his teammates. I also heard the story of when he was watching practice at Benny Douglas Stadium one afternoon when his sons were playing for Muleshoe and offered more sound coaching advice to popular and successful coach Mike Wartes, who listened politely, then tipped his head in the direction of the school administration building and suggested that Doc go apply for the head coaching job. Gleason thought a minute and then said, “I would, Coach, but I don’t think my family could stand the cut in pay,” and walked off, satisfied he had done his best to help out. All these stories are fun to share, but what about Dr. Gleason the veterinarian? The animal doctor who, when asked to put down a pet monkey and did it, but with tears in his eyes after the monkey looked Doc sadly in the eye and reached out to grasp his hand in friendship. He knew immediately he would never put down another monkey. The same animal doctor who vowed never to go deer hunting again after shooting his first deer because he felt sad and regretful when he rolled the body over and looked into those soft brown eyes whose life he had cut short. I asked Dr. Gleason why he decided to become a vet, which took him back to high school and Joe Jones, an Aggie who was county agent in Parmer county at the time and had overseen Jerry’s swine projects. 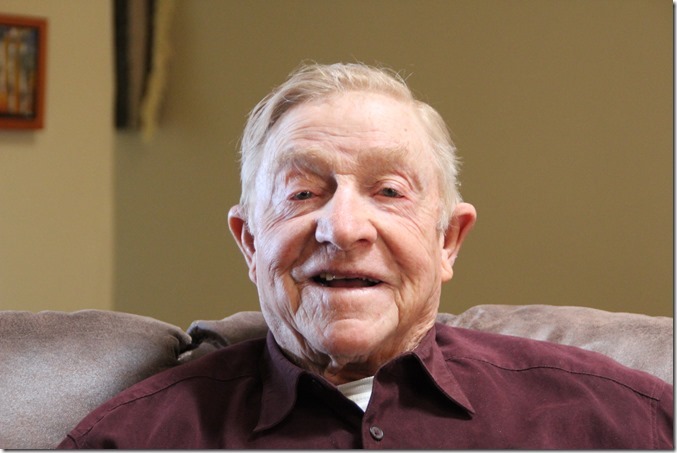 Jerry was born in Jones County out on the family farm in the Boyd’s Chappell community. He laughed and said his dad had driven into town to the hospital to tell them the labor pains had started and was told to go home and the doctor would be out there for the birth. The Gleason family moved from there to Progress and then to Lazbuddie in 1943, and his dad continued farming. According to Jerry, county agent Jones could tell he wasn’t jumping up and down to carry on the family farming and asked him what we wanted to do instead, to which Jerry answered he had no idea. So Jones suggested why not go to A&M and become a vet. And Jerry thought, why not? I like animals; I might as well. So with no chemistry background from small school Lazbuddie and no idea about the Corps of Cadets at A&M, off this naive country boy went to College Station to get more than just a veterinary medicine education. 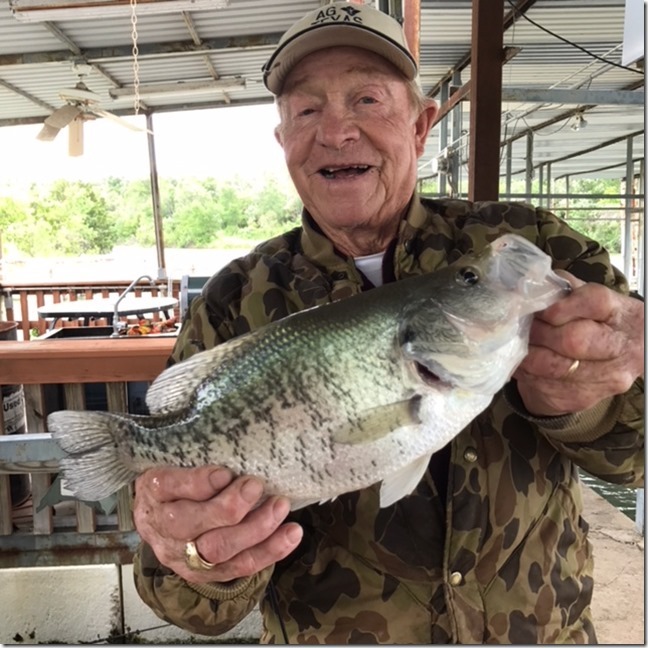 The Corps and its harsh handling of new recruits was a new world to him, as well as the rivalry between A&M and the University of Texas, referred to by any good Aggie as t.u., both of which he found out about during his first Fish Week as an Aggie cadet. Fish Week came at the beginning of the new school year and was when the new cadets were being steeled and prepared for what was to come the next week when the sophomores came back to campus and vented the frustrations they had felt as freshmen on these new freshmen. Doc’s squadron had been told to go home for the weekend to get them off campus as the sophomores arrived. It was just a bit far to get all the way back to Lazbuddie, and he had no where else to go when he remembered that friend Rudolph Jesko was a graduate student over at t.u., so he decided to just hitchhike to Austin and see him. Aggies had no trouble catching a ride because everyone knew the cadet uniform and were willing to pick them up. This time, however, the uniform was his undoing because the man who picked him up took advantage of recognizing the uniform and knew exactly what he was doing when he dropped off the unsuspecting Aggie freshman right in the middle of the t.u. campus. At this point, Jerry was at loose ends and hungry and seeing what looked like a drug store with a soda fountain, went in for a Coke and a sandwich only to be spotted by a group of Texas students at a corner table. The biggest in the bunch stood up, glared at him like a coyote eyeballing a rabbit, as Doc put it, and growled menacingly “There’s a g—d— Aggie,” and sat down. So the Coke and sandwich were inhaled quickly, and Jerry left on the mission to find Rudolph, which was futile since he had not a clue where he would be or how to find him. After at least asking about Rudolph at the Newman Club, since Rudolph was Catholic, a car stopped, a voice said, “Freshman, what are doing here? Get in,” and the driver, an Aggie senior, took him back to the A&M campus, safe, at least, from t-sips, only to have to face the sophomores the next week. After this impromptu introduction to some Aggie traditions, Doc stuck it out and after two years he made it into vet school and finished in the next four, a total of six years from 1954 to 1960. If you failed any of your pre-requisites during the first two years, it took longer to get into vet school because you had to take them again and then hope you made the cut. Now it takes four years pre-vet and four years in vet school to graduate with your DVM. He said the six years it took him seemed like an eternity, let alone the eight years and maybe more it takes these days. His first job was in a clinic in Bellaire in Houston, working there between his junior and senior years, quite different from the practice he would come to know in West Texas. He said he worked on one horse while he was there; the rest were small animals. Then it was on to serve six months in the Air Force, after which he came back to this West Texas area. He says he remembered hearing Dr. K.K. Krause from Clovis speaking to the students during Opportunity Days at Lazbuddie High School talking about veterinary medicine and how hard you work and how little money you make, but that if any of them did complete vet school, he would have a job for them in Clovis. So after his stint in Houston and the Air Force, Doc took him up on it to see if he really meant it, and he worked there for a time until he realized there was plenty of business for him in Muleshoe and decided to open the animal hospital here in 1961. His first patient, a horse brought in by Lloyd Beatty, appeared on June 12, 1961. It was about this time that he kept getting clinic visits from Margaret Mabry and her mother. Margaret’s dad farmed in the Hub community and had bought the Lazbuddie gin. Margaret had gone to school in Friona, was four years younger than Jerry, but had seen him on 4-H trips when her dad went as the cook. After answering some pretty lame questions, Doc finally realized they must really be coming to see him, so he decided he’d better ask her out. She turned him down for the first night he asked, but when he asked for the next night she said yes, and he found out her current boy friend was sitting beside her during the call. Doc borrowed Ray Santos’ Corvette; they went to Clovis to eat and go bowling, and the rest is history. They married in 1962; 56 years and four kids later (Jimmy, Jacinda, Jay, and Jerry Lionel), Margaret has put up with emergency calls, wild stories, and wilder fishing trips ever since. 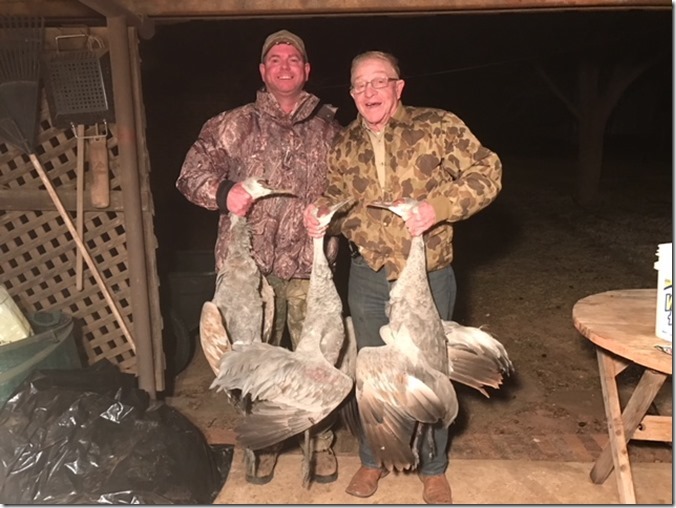 Doc may not enjoy deer hunting, but bird hunting (as seen here with nephew Robert Nichol) and fishing are another matter, especially fishing. Many fishing trips took him out into the Gulf of Mexico; two in particular come to mind. One was when he took Charlie Isaac, Dee Brown, son Jerry Lionel and his friend Thurman Coleman out deep-sea fishing, and they got caught in the tail-end of a hurricane and spent the better part of the night dodging the piers of an off-shore oil rig in much too small a boat.The other one was when he took Margaret with him so she could film his catch of the day, which turned out to be a good–sized shark. She was so intent on her filming duties she didn’t realize Doc was going to shoot the shark as he pulled it into the boat. As the unexpected shot rang out, the expletives-not-deleted tumbled out of a very surprised Margaret’s mouth, only to be recorded along with the shark catch. Which would have been understandable and forgiven except that she didn’t know that recording would be the program at the Rotary Club the next week and become a wild tale about her that would be circulated around town. I think he was on her bad list for several days because of that. But I digress. The animal clinic thrived and in 1979 Dr. Barry Cowart from Olton joined the practice after graduating from A&M in 1976 and a year-long internship at the University of Missouri. In 1988 Dr. Steve Kennedy, also from Olton, graduated from A&M and came to the Muleshoe Animal Clinic. Other doctors came and went, but these three were the mainstays of the practice at that time. It was somewhere around that time that I was teaching a gifted/talented class at the junior high and wanted to show the students what a career in vet medicine would be like. Doc graciously agreed to a visit, and we showed up early one morning when, sadly for the calf, but with good timing for us, a death had just occurred, and the kids were witness to the necropsy Doc performed on the carcass. He also showed them some other things about being a veterinarian, but the necropsy was the highlight. I appreciated the time and knowledge he shared with us that day when he could have said no. I had the kids write thank-you notes and suggested they mention one thing they learned from the visit. One girl wrote she learned that she didn’t want to be a vet-too much blood! But that is why I took them; better to know now than after spending two years in pre-vet classes. Doc’s oldest son, Jimmy Gleason, also became a vet and set up his practice in Levelland in 1988. The practice grew quickly, and soon Jimmy was having a hard time meeting the demand. 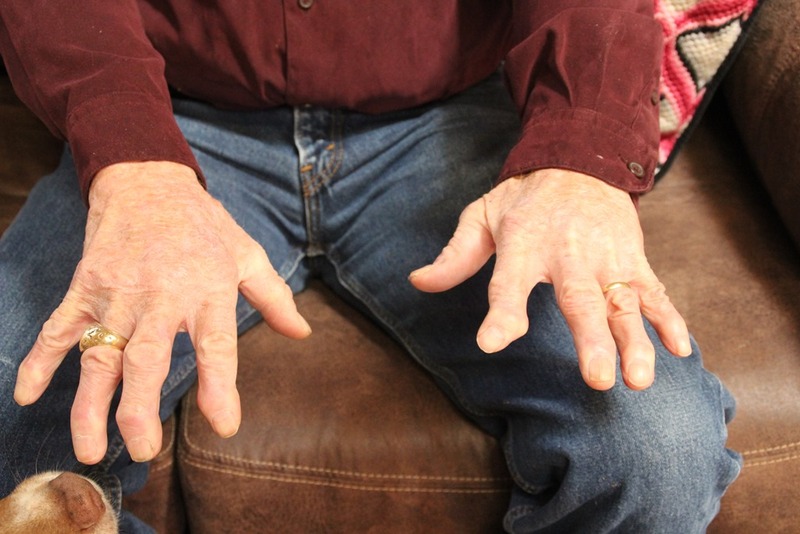 It was obvious the practice could support and really needed another doctor, so Doc sold his partnership in the Muleshoe clinic to Dr. Kennedy, commuted to the Levelland clinic for a year and then moved there in 1992 to help Jimmy. Margaret had taught for eight years at the elementary and junior high level in Muleshoe ISD and resigned when they sold the house and moved to Levelland, too. These days, at the age of 80, things have changed but haven’t slowed down. Doc retired in 2002 but does still have one client, Elwood Kenney at the Spade Ranch, and spends the rest of his time watching his small herd of cattle, playing golf and cards, and perhaps making the occasional fishing trip to Lake Bridgeport, where he caught the fish pictured above. I asked him if he had a favorite patient that he liked to work on, and without hesitation he said cats. This didn’t surprise me. Strays and unwanted kittens were always around the pens and barns helping with rodent control, and he even shared one with us after we first came to town, a pretty Siamese-looking stray we named Spike who lived with us a long time and made many visits back to the clinic. I asked him what he saw as the biggest success or innovation in veterinary medicine and he said eradication of the screw worm was one of the most important and successful advancements in animal medicine. I asked him about the future of veterinary medicine and he said there is a need for more food animal vets, which of course, means more large animal practitioners. Doc’s fingers are testament to a life spent working on large animals around squeeze chutes and in unpredictable situations. But those same hands were gentle and humane with those animals as he did what needed to be done. After 55 years in the business, 28 of them in Muleshoe, these stories are only a small part of his contribution to the folklore of Muleshoe. His work with the animals in the community as well as the stories will live on long after he is gone. But I will remember Doc Gleason for his kindness with animals, especially mine. My thanks to Tommy Gunstream, Paul Wilbanks, Bill Liles, for their help with this story, and especially to Dr. Gleason and Margaret for sharing his life and pictures with me. Good read. Proud of you, Jerry. Thanks for reading, Betty. This was a fun story to write. Loved this story about Jerry and Margaret. Love the trip down memory lane. I enjoy your stories in The Muleshoe Journal, too. You are a eryntalented writer. Thank you. Thanks, Mary. I enjoyed writing about Doc Gleason and his escapades. Please publish this story in the Muleshoe Journal like you have for several other stories you have written. This one about Doc Gleason is a classic! So many people don’t use Facebook and wouldn’t have a way to read this. This is one story not to be missed! Thank you! Thanks, Terry! I’ll do just that-look for it in the next couple of weeks in the paper. I remember when Doc Gleason was in a minor finder bender in rural Muleshoe , however he did get a large cut on his forehead . Instead of coming in to see The doctor , he instead used his own local anesthesia and stood in front of a mirror and did his own sutering!! Did a bang up job!!! I also rennet one day I went out to buy a pair of boots, and Doc was doing some kind of repair on a horse. He had a large spinal needle inserted into the horses spine, we were talking and all of a sudden, the horse expelled a huge amount of gas!! It spewed blood and feces all over his face, Doc, simply wiped his face and continued what he was doing!! Not a flentch one!! I have heard stories of how he would sew himself up, too. And his lack of reaction to the gas and feces sounds just like him as well! No telling how many other stories could be reported on Doc. Thanks for reading, Dean. Dr gave one of my FFA pigs mouth to mouth when he was born not breathing that impressed me how dedicated he was to preserving life!! I think he was dedicated, too. Thanks for reading, Clifford. Hi Kay! Thanks for reading. Glad you liked the story about Doc Gleason. Doc Gleason is definitely one of a kind, Michael. Thanks for reading and thanks for your comment.